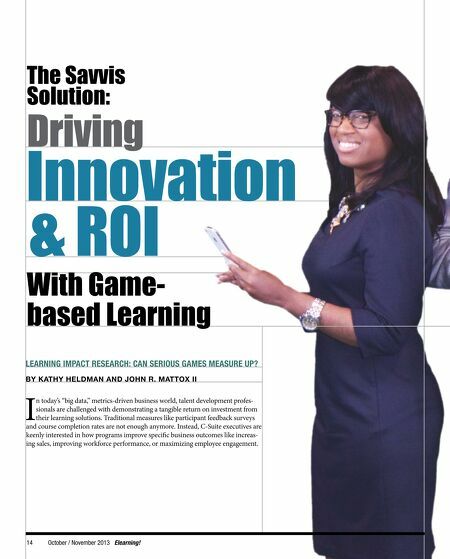 The Savvis Solution: Driving Innovation & ROI With Gamebased Learning LEARNING IMPACT RESEARCH: CAN SERIOUS GAMES MEASURE UP? 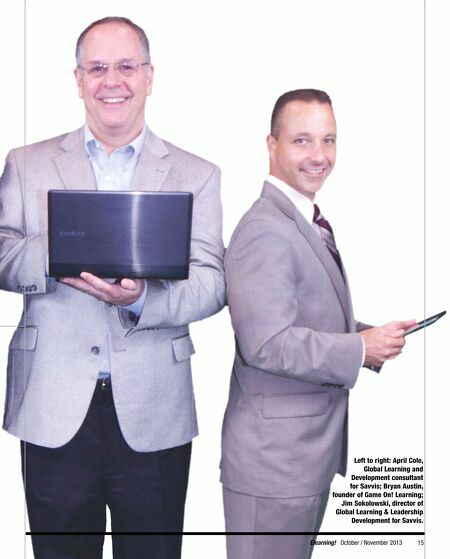 BY KATHY HELDMAN AND JOHN R. MATTOX II I n today's "big data," metrics-driven business world, talent development professionals are challenged with demonstrating a tangible return on investment from their learning solutions. Traditional measures like participant feedback surveys and course completion rates are not enough anymore. Instead, C-Suite executives are keenly interested in how programs improve specifc business outcomes like increasing sales, improving workforce performance, or maximizing employee engagement. 14 October / November 2013 Elearning!